Tenth seed Novak Djokovic overcame illness and losing the first set to beat Adrian Mannarino in the Cincinnati Masters second round. The Serbian called for the doctor towards the end of the second set and was given medication for a stomach problem before returning to the court and reeling off six successive games in a 4-6 6-2 6-1 victory. Having required nine match points to see off Steve Johnson in Monday's first round, the former world number one converted at the first time of asking against Mannarino to advance. Djokovic is a five-time finalist but the Ohio tournament is the only Masters event he has yet to capture, and he has landed in the favourable half of the draw that does not include Roger Federer. There were signs that all was not right with Djokovic in the first set when he pushed a series of ground shots long and Mannarino secured the match's first break to go 4-3 up. The Frenchman then claimed a 6-4 success in the opener with just his second ace. Djokovic bounced back at the start of the second set by winning Mannarino's first two service games but he then called for medical assistance when he was a game away from levelling the match. 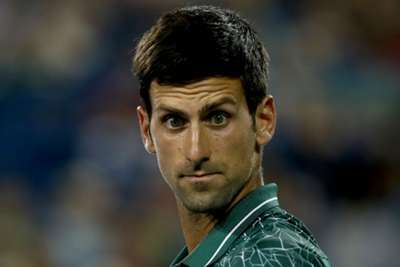 After being given medication at the change of ends, Djokovic looked more like himself in the humidity as he took the second set and then won five consecutive games at the start of the decider. And, having taken so long to deliver the victory against Johnson, Djokovic was grateful to see Mannarino push his return long on the sole match point. "I wasn't feeling great for a set and a half, I had some stomach issues," Djokovic said in his on-court interview afterwards. "The key was overcoming the physical health issue that I had in the first couple of sets. "I was unable to move that well and I was making a lot of unforced errors." 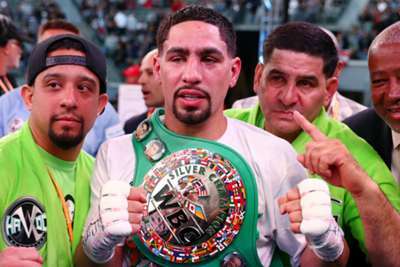 Danny Garcia was too good for Adrian Granados in California on Saturday.